The reason for transferring files wirelessly from PC to Mobile is very convenient than transferring files through a USB cable and adding to the advantages, you don’t have to wait beside your PC until the transfers complete. While your files are being transferred to your phone you can carry on with your other works. There were many apps that can transfer files from Mobile to PC and PC to Mobile in the market. The best apps that can be used to transfer your files from PC to Mobile and Mobile to PC is AirDroid. The app can be used to both receive and send files between your PC and android phone. 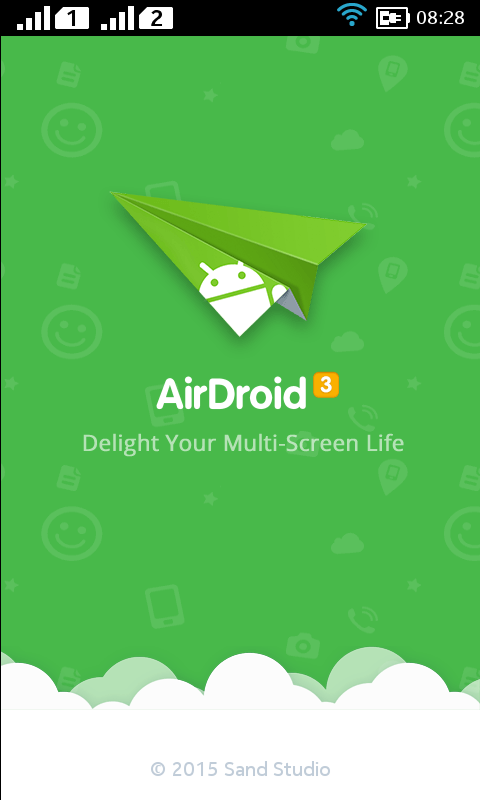 Airdroid is basically an android app which helps to manage your android phone from your PC’s web browser. The web interface of the app is very neat and the usability is the best among all the apps in its class. All in all its simple, beautiful and highly effective. The interface is very fast and can transfer a file with high speed than a device connected with USB connector. All of this and more can be performed from AirDroid’s PC interface itself . Now lets move ahead and find out how we can use Airdroid to transfer files wirelessly between your PC and android phone over a WiFi network. Install AirDroid on your Android mobile and open it. Airdroid will Show an IP address that should be typed in the browser of your system. Connect to your PC’s wifi network from your android phone. You can also use the wifi router that you have with the PC or connect Wifi using laptops. 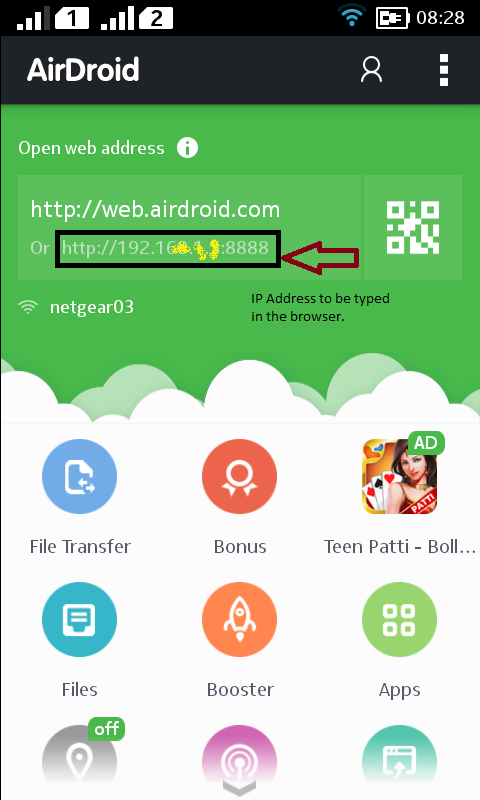 When you type the IP address given then the following is the screenshot that you will be reached and you should accept the connection even in the mobile. You have to press Accept in the mobile as shown in the above screenshot as given in the PC. Then you will be redirected to the Airdroid interface and you can see the Menu of your mobile in the system's browser. You will have a toolbox to the right of the Airdroid interface. You can drag and drop the files and folders and can easily transfer to the Mobile with in seconds. Click on the Files Folder you have in the Droid Interface on your web browser and then just crawl through the folder from where you want the file to be copied into the system. Click on the File and press the download option in the right corner of the interface. Your download will start and will be available in the downloads. If the download you make is of multiple files then the files will be saved as .zip file and will be saved the same as the downloads.